When I write a post, I’m always wondering if someone cares. Since I’m not one of the top 1’000 bloggers who rally millions of readers, I just get so many hits and it’s hard to find out what people like to read. Today, I noticed something: Some articles get more spam than others. 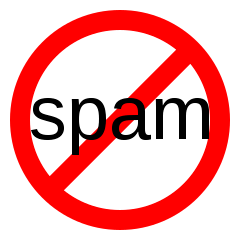 Since spammers want to get noticed, they are more likely to spam the hot stuff. This entry was posted on Wednesday, September 1st, 2010 at 21:25 and is filed under Comment. You can follow any responses to this entry through the RSS 2.0 feed. You can leave a response, or trackback from your own site.